Learn more about our lead buyer’s agent in this week’s #TeamTuesday blog! 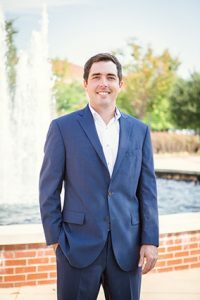 John has nine years of real estate experience and is recognized as a top performing agent in the Tuscaloosa area. His coworkers describe him as thorough, diligent, and energetic, and we are fortunate to have him on our team. I wanted to be a Teenage Mutant Ninja Turtle : ) I was obsessed with wanting to be Donatello and save the world. I grew up watching my dad flip houses for a living, and developed a desire to see each home’s potential. It also excites me to meet new people each day and help them find the best home for them. I love the process of the hunt for a great home. Tuscaloosa is a very caring community. Just look at how we pulled together after the tornado. We continue to grow, but at the same time we keep our “small town” feel. I believe to be a successful agent I must begin my day by getting in the right mindset. Staying positive and passionate in what I do keeps me motivated to work hard. No two days are alike, but they are all fast paced. I have been around home renovations my entire life, and have developed a creative eye to turn a house around by changing its look. A follower of Christ and a servant heart to others. I listen to Rick and Bubba and wrestle with my son Lucas. Hanging with the family and golfing.